A big factor in ebooks for children is the level of interactivity. I’ve heard that some young kids are disappointed if a tablet ebook isn’t game-like, i.e.with movable components, animations, sound effects, and other media enrichments. My take is that an ebook can be reading-oriented OR game/movie-like OR something in between...but I don’t think every ebook must have jumping, jiggling, jangling elements to be worthwhile. Someone who wants to be completely immersed while reading may prefer zero interactivity. Ultimately, the market will decide. For my I.N.K. post about bringing game concepts to books, click here. Who’s involved in designing the interactivity? The author...illustrator...editor...app developer...? Personally, when I think about creating an interactive book, an adaptation of an existing book almost seems more difficult than starting from scratch...guess it depends on what the interactive components turn out to be. Finding a particular ebook is a bit of a Catch-22 situation at the moment. If you already know the title or author, it’s fairly easy to find it on whichever ebookstore. The question for authors is, how will people know your title even exists amidst the bazillion others? If ebooks are priced lower, they may undermine the sales of traditional books, a huge problem for most publishers (and naturally authors.) The impact on libraries and bookstores, how schools will utilize ebooks, the affect on textbooks, the split authors get versus the various middlemen, how ebooks will be reviewed, the rise of indie publishing... whew, must stop now. These factors and more are the reason it’s daunting for all involved, from authors to publishers to people who just want to read. One of my current interests is to create interactive book apps and ideally I’d rather create the whole thing myself. A word processor plus drawing, painting, and layout software are the tools I currently use to make my books...next I’m hoping for a reasonably easy app-creation tool that doesn’t require me to learn a computer coding language. Several companies have app-creation tools in beta testing right now, more info about that will be coming soon on E is for Book. Many authors may be waiting for their publisher to take care of everything, hard to say. I’m no expert on these issues, just am trying to be informed (despite the fact that much of this post is subject to change.) I'm pretty sure that paper books aren’t going away...many of us prefer them most or all of the time. What’s clear is that the book biz is being reconfigured all around us, right now. Ebook developments can be difficult to keep up with because of the continual software and hardware changes. Since digital book sales appear to be increasing in a steep curve, authors and their readers can’t help but wonder how the book biz will change and how quickly. Some of my colleagues are dipping a toe in the waters or diving headfirst into the pool, so soon it may be sink-or-swim time for all of us. After digging around online, emailing with other authors, and reading a lot of blogs over the last few months (not books or magazines, interestingly,) here are the issues that seem most relevant. What is an ebook, anyway? A PDF; a Kindle book; an iPad story app; an iBook; an EPUB; et al. If a book is in digital form, it can reasonably be called an ebook. However, the wide diversity in formats often requires clarification. For example, do you know the difference between an iBook and a story app for the iPad? (An iBook is usually a fairly straightforward conversion of a traditional book while a story app can have extra interactivity from changeable illustrations to simulated 3D pop-ups.) The terminology, the acronyms, even the spelling (e-book or ebook?) can be a problem. Digital books require no paper, no ink, no binding, no warehousing, no packing, no shipping, and generally speaking, can’t be returned by customers. If this isn’t a fundamental change in publishing, I don’t know what is. Books in the form of story apps require new (to publishing) skill sets such as writing software code, which may be costly depending on what’s involved. However, porting an existing title with few changes over to a digital format shouldn’t be too pricey. ...for ebooks may be quite different versus paper books. For example, readers may demand to pay less due to the perceived lower production costs and the intangibility of books in electronic form. Maybe much less, if the sheer number of complaints on the Internet about overpriced ebooks are any indication. Ereaders are proliferating but there are two main types. Some are optimized for reading text (e.g. black and white “e ink” types such as the Kindle). The tablet-types can show full color images, generally have touchscreens, and can do much more in addition to displaying ebooks. Surprisingly (to me), many people read on their phones or other smallish devices. You don’t necessarily need a separate device, though (see #5). The most popular ereaders have non-interchangeable file formats, which is a production headache, obviously. For example, an iBook can’t be read on a Kindle, as far as I know. However, it's good (if a tad confusing) that you can read Kindle and NOOK books on the iPad, PC, Mac, Blackberry, iPod, and so on with a free download (click for Kindle reader apps, or NOOK reader apps). Picture books, graphic novels, and many (most?) nonfiction titles need images. Authors and illustrators need to know which device/format will support what kind of image. For example, most people know that Kindles are only black and white thus far, including any images. However, did you know that if the Kindle book is on a computer or other color device using a Kindle reader app, images will be in full color? (That is, assuming the original image was full color. Read more here.) Another issue with the various devices/formats is whether the artwork can be “full bleed,” meaning the image fills the screen rather than having a white border around each page. Every Wednesday on my blog I post an entry that are the show notes to that week's podcast. This is a reprint from last week's episode. Guest Scott Neumyer talks about his ebook Jimmy Stone's Ghost Town. Plus a review of Flip by Martyn Bedford by Jennifer Hubert Swan of Reading Rants and a new Take5 Marketing Tip by Dianne de las Casas. How his book sales got him an agent (he sold over 1,000 copies in the first five weeks and sold over 1,500 in fewer than eight weeks). How do you get your books on the Kindle? How to format your manuscript for Kindle. First, links to find Jimmy Stone's Ghost Town in the US click here and to find it in the UK, click here. And to follow Scott on Twitter, click here! Scott Neumyer is a writer, publicist, and photographer who lives in New Jersey with his wife and daughter. He has over ten years experience in online PR and marketing and worked for three years as a Media Buyer for a major national film distributor. He has recently appeared in Wanted Undead or Alive: Vampire Hunters and Other Kick-A** Enemies of Evil (Citadel Press 2010) and has previously had stories published online and in print in prestigious magazines such as McSweeney's Internet Tendency, Pindeldyboz, and Hobart Pulp. He is a pop culture geek through and through and loves all things bacon. A vital component in the ecosystem of traditional print publishing is the reviewers. Busy librarians, teachers, and parents need help to find good books among the thousands of new books that are released every year. Booklist, Kirkus Reviews, and School Library Journal are among the most well-known publications that serve this purpose. Kirkus Reviews has leapt into the fray with about 75 iPad story app reviews so far. Planet App: Kid’s book apps are everywhere. But are they any good? The iPhone Mom has reviews categorized by age, I don’t see a number but it looks as though there are quite a few. For example, under toddler there are 6 pages, so about 60 reviews. A notable one advertised on the site is Tickle Finger, which asks the reader to help the main character by literally tickling the bad guys during the story. How fun is that? Apps for Kids has an ebook section. Best Kids Apps promises We play all the iPhone, iPad, and Android apps so you don’t have to. They have about 10 reviews in the Books and Stories section. I Education Apps Review is a community effort to grade “educational apps,” which certainly sounds intriguing. There are 50 reviews for the elementary level, 61 for middle school, and 36 for high school. I found out about some of these links on the EduApps Twitter list by @Annie_Fox, so check that one out if you’re interested in educational apps. This is precisely the reason I never read any of my own books once they’re published, at least, not if I can help it. I always second-guess myself, always wonder if there was a better way to begin the story. Or end it. Or jazz up all those bits in the middle. “Once a book is published, I turn on it." But there was one scene I wanted to revisit. LILY'S GHOSTS is, no surprise, a ghost story, so it features quite a few characters who are, well, dead. Some died of natural causes, some by accident, and a few at the hands of others. There is one secondary ghost character, however, that died at his/her own hand. At the time I wrote the book, I felt it suited the story. But after looking at it again, I wondered about it. No kid ever complained about the scene, but a few adults, who tend to be a lot more sensitive, have. * And now that I'm more than a decade older than when I first wrote the story, I'm that much more sensitive, myself. I wanted to see if I could make this brief scene — just a page and a half — more powerful, even creepier, by changing the way this character died. "You already made your choices." I revised the scene, and brought both the old scene and the new one to my writer's group to see which they felt was more effective. Several members thought the revision was quirkier and more interesting than the old version. But one woman, a writer whose opinion I greatly respect, was adamant that I not revise the scene at all. She said I was censoring myself. And then she said, "This book was published. You already made your choices." I've got a few worries about ebooks. One of them is that ebooks are necessarily more ephemeral and transitory than print books, especially when you take into account the fact that changing technology could render the ebooks you purchase today unreadable in a few years. I worry that editing files from one version of the book to the next contributes to the sense that stories are short-lived and fleeting, and because of this, not as valuable. And yet, I can't help but want to improve a story if I have the opportunity to do it. I guess the questions here are a) am I censoring myself? and b) should I edit a book that has already been in print? The answer to that first question is no, I don't think I'm censoring myself. The things that might make the book a difficult choice for some — the ghosts, the light romance, mentions of the occult, the cheerfully creepy tone, etc. — all remain, as they are all central to the story. The manner of this particular ghost character's death? Not so much. The answer to that second question, however, is fuzzy to me. Is it a bad idea to re-edit OP books? Have I already made my choices? What do you think? 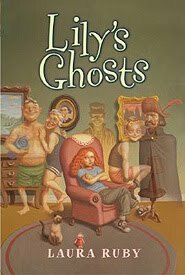 *This book was a Parent's Choice Silver Honor Award Winner and an Edgar Award Nominee, but it was also challenged in a few Florida elementary schools after it won a Sunshine State Award. 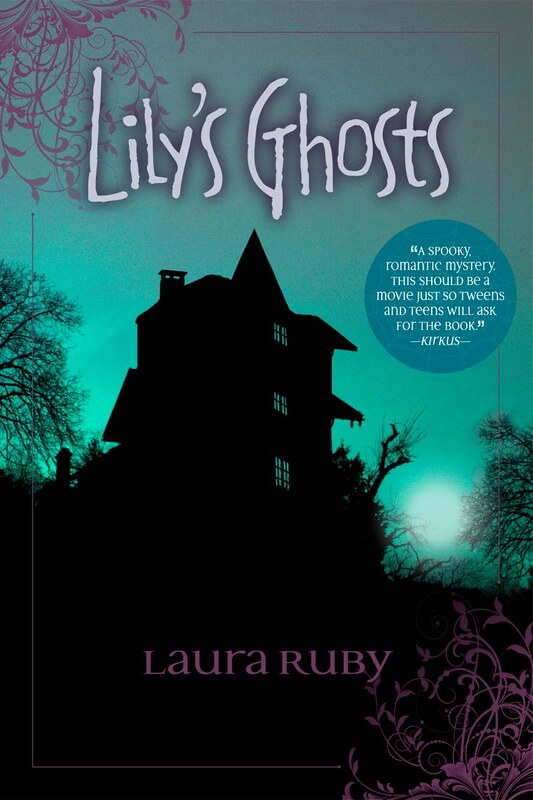 Though no one associated with the schools ever pointed to this scene as the reason — the administrators refused to give any reason why LILY'S GHOSTS and a few other authors' titles were challenged — a couple of people suggested that it might have been part of the problem. Me? 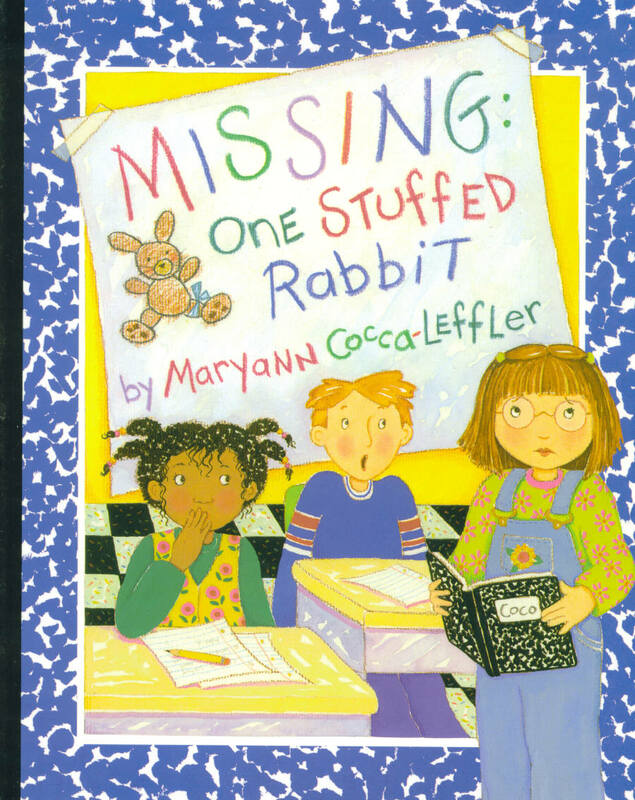 I'm thinking it might have been the fact that the original illustrated cover skewed a bit younger than the story. So, you have a fantastic web site, fabulous books, and an informative blog. Wouldn't it be great if you could take these things with you everywhere you go and just hand them to people like a business card or brochure? I'm going to tell you how you can do exactly that. And I'm going to tell you why you should. 2011 is going to be the year of the QR code, you watch and see. "QR" stands for Quick Response, and the code is a two dimension image, kind of like a bar scan. Only different. Pretty soon they are going to be everywhere. And they are perfect for getting the word out on your app or ebook. They've been around for a decade in Japan, (where they were invented) but they're just starting to edge into the American tech way of life. The cool factor is through the roof on these things. I am beyond excited about this stuff! If you still don't get what they are, check out this graphic explanation by the tech-savvy, comic-creating Daring Librarian. And if you still don't get it - and don't worry, it took me awhile too - keep reading. What are the steps to start using QR codes? Step 1: Decide what you want to promote. Your ebook? App? Book? Site? Step 3: Your target audience, having downloaded a free scan app such as Qrafter (which I believe was created by Kerem), scans code (aka points at the code via the app in his or her device) to reach the destination you have chosen through your code. Say you wrote a book called Elephants in the Wild. Your QR code could lead a person to a video showing elephants in the wild. Or to a downloadable activity sheet you created on your site for teachers. Scan this and you'll be taken to a private link to a sneak preview of a video that will not be released until April 1, rated PG of course! Imagine you're on a plane, winging your way to someplace fabulous. If you're anything like me, you will have the good fortune of being seated right next to a teacher who will be thrilled when you hand her your card with a QR code on it that leads straight to your "Freebies for Teachers" page on your web site. Do you have a backlisted book you want to give a little lovin' to? Create a scavenger hunt for your readers in which they follow the clues provided with consecutive QR codes you've created - the winner gets a free signed copy! Where can you use QR codes? 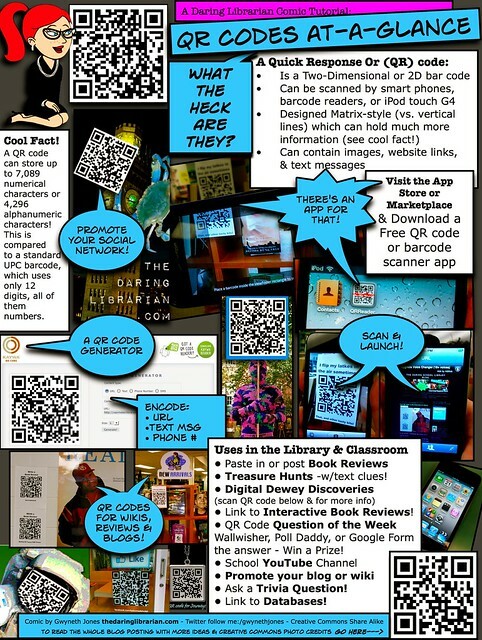 Jeff Korhan (soon to be a guest on the Brain Burps About Books podcast) wrote a fantastic explanation of QR codes in this great article. I also love this listing of articles on using QR codes in education. In the months since focusing on the possibilities of creating ebooks, more and more ideas have been popping into my head, have been suggested by E is for Book members, or have been inspired while skimming scads of book blogs in a desperate attempt to keep up with it all. Not all of these examples are necessarily for ebooks that would cost money, some could be giveaways for promotional purposes. Some of the links below go to examples on my web site or blog. Most of these can be easily put into the PDF format. Group activity and coloring pages into an ebook for convenient downloading. Make a Scavenger Hunt checklist to find certain things in a title. Take a portion of the line work from an illustration and enlarge it for coloring. Make a template for a project that ties into a particular title such as a mask, a paper doll, a 3-D house, etc. A step-by-step guide to how to draw your characters. Release free sample chapters to get readers interested in a novel or a series. Write a short story with the same characters that isn’t in the print book. There are many more ideas along this line, but that’s a start. I’m interested in opinions about which of these (or other options) are most popular with kids, teachers, and parents. Try it in a different format—could a picture book become a chapter book? Add interactivity such as sound effects, pop-up images, things the reader can move around, and so on. Of course, this is not possible with all formats, at least for now. Because the number of pages is not restricted, consider including extra material that currently is not an option. This could be almost anything from “journal pages” supposedly belonging to a character, a song that goes with the book’s theme, historical details or amazing facts you came across in your research, and so on. Write about a narrow topic that won’t work for traditional publishing but that may find an audience online. Shorter than “normal” books on a very targeted topic are also a possibility. Personalization could be an option some ebooks could offer. Mashup the media with a story app that has gamelike action or has a hidden video that allows the reader to help the main character solve a mystery. 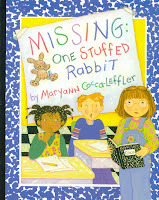 How-to books with plenty of photos and/or videos to demonstrate an art or craft process. This is only scratching the surface...I hope this post has inspired a new thought or two or three! Please feel free to add more ideas in the Comments. Okay, so last Wednesday we talked a little about our fears. Now to balance things out, let's talk about the things we hope will happen. (Black and White Warbler -- beautiful, migratory, and black and white like print) I hope that book creators will finally be able to make money from their book -- a living wage. At least by publishing their out-of-print titles as ebooks. (Hummingbird -- small but startling) Books that would only have a limited audience? Hey, we can print them ourselves and reach those people! Why not? That's quick. But that's my list. Honestly, I'm kind of excited by the idea of making a few odd and quirky books. Dreaming them up right now as a matter of fact... So what are your hopes for this new e-publishing world? As an author? As a reader? As an educator? As a librarian? And what bird are they? Kids will be able to test, and more importantly apply, their newly acquired knowledge through simulations and quizzes right in the book, with immediate interactive feedback. Like much of the Apple App Store, the quality of what's available runs the gamut from crude cash-ins with ugly illustrations, barely worth their 99-cent price tag, to lavish productions with top-notch voice talent and 3-D pages. Included in The 10 Best iPhone and iPad Apps for Art Teachers 2010 are apps for drawing, collage, origami, and a sketch game. You may have heard that Apple doesn’t allow Flash on their iDevices—I checked my web site on my hubby’s new iPhone and saw the dreaded error message on the pages that use Flash (as so many web sites do.) But, did you know that THERE’S AN APP FOR THAT? Sorry again, got carried away for a second…a solution has been available for a couple of months, but I just stumbled over it: skyfire, a $4.99 app that works on the iPad, iPhone, and Android devices. So yay! So, have you checked out any story apps or seen people using them “in the wild?” Tell us about some of your favorites! A couple of years ago I was interviewed for an online radio show, otherwise known as a podcast. It did not go well. Let's just say it was run differently from how I would have done it. It got me thinking about how I would do it. I started pondering my own show about children's literature. But what would I talk about? (Right about now my friends are wiping the tears from their eyes because yes, I know, I have a big mouth.) But holding forth for 30 minutes? An hour? Did I know enough? Could I come up with good content and sound unlike an idiot? Sounding unlike an idiot was my goal. And also, as sappy as it sounds, helping people. But don't go thinking I'm altruistic because it's actually selfish - I like the high I get when something I've done for someone has made them happy or benefits them. It just happens to have the added bonus of looking like I'm helping a person other than myself. I thought about this podcast idea over the course of a year. Finally, it dawned on me: Terry Gross! I'm a huge fan of Terry Gross, she of the Fresh Air. I won't go into the fantasies I have while listening to her, like how I imagine myself answering her burning questions, laughing conspiratorially while I'm her guest, talking about my latest bestselling novel...oh. When I realized I could interview people (duh, me), the show started taking shape. I named it Brain Burps About Books because I thought it was fun and such a wide umbrella it would allow me to talk about anything to do with children's literature including the creative process, the business of selling a book, libraries, book stores, you get the picture. I now have contributors, too. Betsy Bird, of a Fuse #8 Production offers up picture book and middle grade reviews, while Jennifer Hubert Swan of Reading Rants does young adult reviews. And now Dianne de las Casas (an author and marketing machine with over 12,000 people on her mailing list) is submitting a new one-minute feature, Take5 Marketing Tips. I am having a ball doing the podcast. It's unbelievably gratifying to get letters or comments of encouragement, or to find out that someone I admire actually listens. I love to get questions or feedback through my voice mail hotline (Go ahead! Call! 888-522-1929) or to know that people in far off exotic lands are being helped by a show I created. I mean, how cool is it that there are listeners in places like Malaysia, Estonia, Bolivia, the Russian Federation and China? VERY! Plus, I get to tackle censorship, like when Ellen Hopkins got banned uninvited to a book festival in Texas, and cover timely issues with the editor who decided taking the N-word out of Huck Finn was the right move, and discuss school visits with expert Alexis O'Neill, and expound on whether the word "kidlit" is a curse word, and talk about ebooks with our own Loreen Leedy. I'm excited about future episodes where I delve further into apps, ebooks, and QR codes and how we can use them to enhance our business. I'm considering adding video to the accompanying blog, though watching two people talk is pretty boring. Unless, of course, I can get my guests to do show and tell. That could be cool. I haven't forgotten I'm here to talk about the app that goes along with the podcast. Once I got the show in order and bought the equipment for good sound quality, I found out about Liberated Syndication, or Libsyn for short. Libsyn is my podcast server, and I pay a monthly service fee to upload and store my files, which can be very large, or about 1.5 mb per episode minute. For my service fee, there is an app included. All I had to do was create the art. "This is the package designed for serious audio producers who are ready to take on Smartphone Apps. Included are advanced statistics, a customizable Smartphone App, and enough storage to keep up a short form daily, or long format weekly show. This is the most cost effective way to get your own Smartphone app, anywhere." Click here to see their plans and the spec sheet for the app, which is built by Wizzard. To be clear, anyone can hear the podcast free via my blog (soon to be within my completely redesigned site, launching this month) or iTunes. But if you want it automatically on your iPod, iPhone, Android or Blackberry the minute I upload it, you need to buy the app. I didn't have anything to do with the pricing of $1.99, either - that was Libsyn. As a way of thanking people for buying my app I give them exclusivity for that episode 24 hours prior to the other destinations, and I can also provide extras. 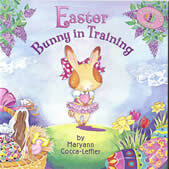 For example, I got to give my app owners a preview of Nancy Werlin's upcoming new book by including the first chapter. As for making the big bucks ... I get a few cents per app sold. Let's just say at this point we won't be paying for college with the proceeds! So for this app I only created the art. Nothing moves. There is no story or cool whizzing, dinging, or buzzing going on. It's simply a portal to listen to my show. Unless you're going to do a podcast, this doesn't even apply to you. But here's the thing: I was am was nervous about getting into e-everything and this was a great way for me to dip my toe in. So if you're feeling overwhelmed by all the e-possibilities, I invite you to dive in to the e-pond, fears be damned. Make a big splash! Just do it and stop thinking it over for a whole year. To check out the app go to this blog's "Our eBooks" page. Feel free to go get the code and post the above infographic, that’s why they made it. Ebook Friendly is an intriguing site that provides a “distraction-free” way to browse Amazon books. I tried a search under children’s ebooks for cats. It indeed looks much nicer than Amazon’s chaotic pages. I suspect that the next 40 months (or maybe 40 weeks) will have at least as many interesting milestones. One thing I’m going to do to celebrate Read an Ebook Week is to Tweet this post with the hashtag: #ebookweek. Hope you will, too, and/or post a link on your Facebook page, and your other outlets. There are little icons at the bottom of this post that make it easy to share the link. I want to hear your ebooks fears. I have this belief -- rightly or wrongly -- that saying what you're afraid of will help. So here are rules to this post: You can only state your fears. Please don't fix other people. Or propose solutions. Or, in general, minimize a fear. Let's just put them out there. And let's agree to this: Some fears have some basis in fact and others are just fear. But both feel just as real. with browsing through stacks of books, the smell of books, the different colored spines of varying thicknesses and trying to gauge my mood and choosing a book. that wonderful editors will be replaced by media specialists. that I won't have the technology skills to be able to do this. that I'll never be able to escape social media and that my ability to concentrate will be permanently damaged. that if I choose to epublish an out-of-print title I'll make some super dumb mistakes and the book will look stupid. People-laughing-at-me-for-the-rest-of-my-life-and-put-it-on-my-tombstone stupid. that somehow digital piracy will take off (or some such thing) and there will never ever NEVER be a way for me to make a living as a writer ever again. that I will miss out on this ONE opportunity. Another will never come again. Not ever. that I'm going to have to start dressing up in costume, learn to play ukulele really well, and tap dance in order to be a writer in this new world. I'll be pawning my books on the train platforms, etc. My biggest fear? That I will be too fearful to try.